An internationally known psychologist, radio and television personality, educator, speaker, and author of over 45 books on parenting, marriage, and family living, Dr. Kevin Leman has taught and entertained audiences worldwide with his wit and commonsense psychology. Dr. Leman has often dreamed of launching a school and learning environment for youth that willingly engages and embraces parents in the educational process, highlighting the parent-teacher-scholar relationship to bring out the best in the child. Leman Academy of Excellence is founded on the key principle that parental partnership is essential in maximizing the scholar’s educational experience. Teachers really care about kids and emphasize the uniqueness and giftedness of every individual in their classes. Expectations for scholars are very high but manageable and motivating. The school has an accelerated program that is competitive with the most rigorous standards of top-notch international schools. Scholars are challenged to learn in a safe environment, devoid of bullying and put-downs, and in which they are treated and treat others in the way in which they would like to be treated. Practical skills for everyday living, including good manners, self-discipline, basic etiquette, how to meet and greet people, how to get along with others, how to write a check, etc., are taught. Scholars are prepared for life beyond the classroom. Parents, teachers, administration, and scholars work together for the best possible education in all areas. The key principles of respect, accountability and individuality, as distilled from Dr. Kevin Leman’s NY Times bestseller Have a New Kid by Friday, as well as the timeless mega-sellers The Birth Order Book and Making Children Mind Without Losing Yours, are highlighted. This dream is the powerful legacy and driving force behind Leman Academy of Excellence. Primary & Secondary Education: Dr. Leman did poorly in school— so poorly, in fact, that he has a vivid memory of sitting in a first-grade reading group, watching a girl who was eating paste instead of paying attention to her reading. But he also candidly remembers thinking as a six-year-old, “I know I don’t belong in this group”. However, he continued to struggle through school, graduating high school near the bottom of his class. His SAT scores were near the 0 percentile. He applied to over 140 colleges and universities, but his high school counselor told him, “Leman, I couldn’t get you admitted to reform school.” No school institution wanted him. Even the church denomination he grew up in turned him down for their school. University Education: Twelve days before the school semester was to start, Dr. Leman was admitted on probation with a 12-unit maximum load to North Park University in Chicago. His freshman year, he managed to eke out a C-average. However, during his sophomore year, he stole the men’s dorm “conscience fund” as a prank. Unfortunately, the Dean of Scholars didn’t think it was that funny and unceremoniously sent Kevin Leman packing. The Early Work Years: After being kicked out of North Park University, Dr. Leman moved to Tucson, Arizona in 1962. He got a job as a janitor in a local hospital and was on a trajectory of heading nowhere fast. Marriage and Family: About a year and a half into working at the local hospital, Dr. Leman met his future wife in, of all places, the men’s restroom. She was a nurse’s aide, and it was love at first sight. Three and a half years later, they married. Kevin and Sande have now been married for 46 years, and have four daughters, a son, three son-in-laws, and two grandchildren, and still live in Tucson, Arizona for the majority of the year, spending their summers in Buffalo, New York. His future wife, Sande, was the third woman to believe in him. It was her love and belief, as well as some other life-changing experiences that motivated him to apply to the University of Arizona as a full-time scholar. Not only did he take a full load of classes, but he worked full-time and also made the Dean’s List. The spotlight of his motivation was switched on, and Dr. Leman has never looked back. 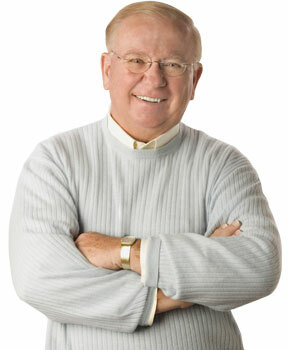 Dr. Leman earned all three of his degrees (bachelor’s, master’s, and doctorate) at the University of Arizona. During his tenure there, he served as Assistant Director of High School Relations, where he was very instrumental in establishing the University’s New Start program for economically disadvantaged scholars. Since then, the program has assisted over 4,000 scholars in receiving their bachelor’s degrees and is still going strong today. Dr. Leman also served as an Assistant Dean of Scholars and taught graduate-level courses for the Department of Counseling and Guidance, College of Education. Education Awards: The University of Arizona presented Dr. Kevin Leman with the highest award they can give one of their own— the Alumni Achievement Award. North Park University, the same school that gave Dr. Leman his walking papers in 1962, invited him back to award him a Doctorate of Humane Letters in 2010.